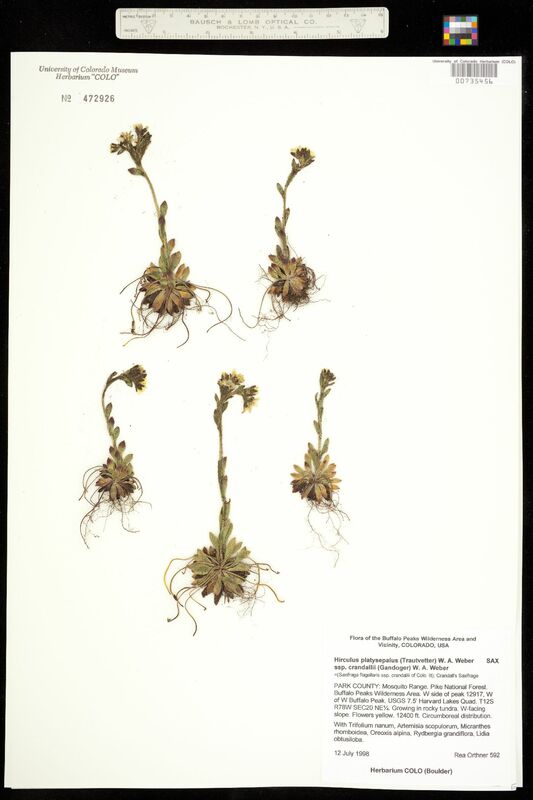 Locality: United States, Colorado, Park, Mosquito Range. Pike National Forest. Buffalo Peaks Wilderness Area. W side of peak 12917, W of W Buffalo Peak. Habitat: Growing in rocky tundra. W-facing slope. 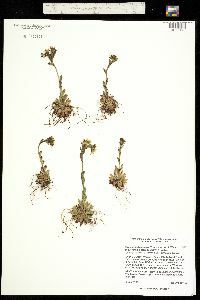 With Trifolium namun, Artemisia scopulorum, Micranthes rhomboidea, Oreoxis alpina, Rydbergia grandiflora, Lidia obtusiloba. Occurrence Remarks: USGS 7.5' Harvard Lakes Quad. Flowers yellow. Flora of the Buffalo Peaks Wilderness Area and Vicinity. Circumboreal distribution.